maintenance begins with a thorough inspection of your vehicle. 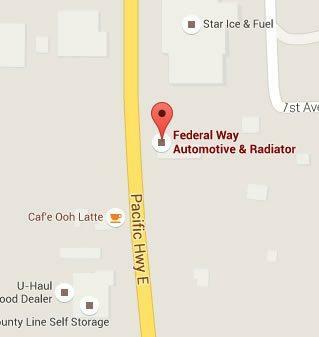 Federal Way Automotive & Radiator has been satisfying Auto Repair Federal Way customers for over 30 years. We guarantee our brakes and labor in Federal Way for 12,000 miles or 1 year. Contact us for a free brake repair estimate! We use only the highest quality parts and materials so our Federal Way customers can be confident in the emissions work. As an AAA Approved auto shop in Federal Way we promise you the best service at an affordable cost. Auto Repair Shop – Get repairs you can count on! 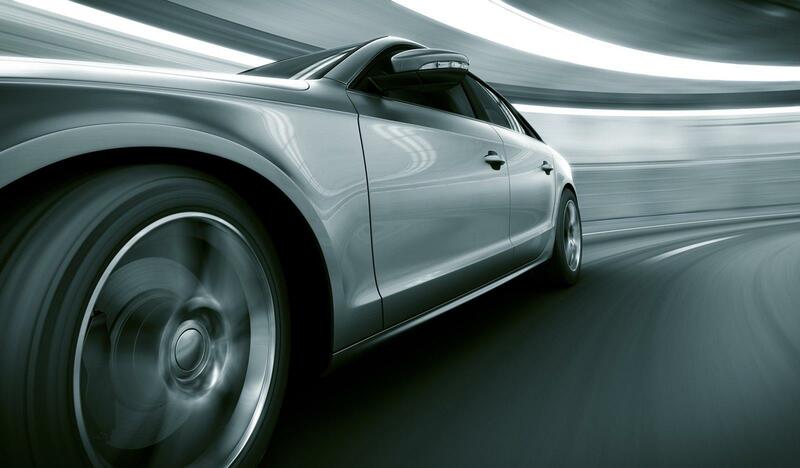 Get your car repairs from someone with a proven track record. You can have it all—awesome service, and a great value! We think that timely, comprehensive repairs are essential. We do our absolute best—each and every time. 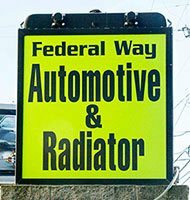 Federal Way Automotive & Radiator has been helping customers get back on the road with auto repair in Federal Way for over 30 years. We have a well-designed and equipped auto facility that allows us to take care of our customers and their automobiles with care and efficiency. 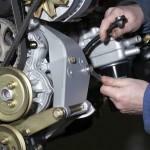 We employ only ASE auto technicians and highly-trained auto Service personnel. Only OEM or OEM equivalent parts are used, and our auto technicians stay up to date with the ongoing training programs they attend. If you have been searching for a family-owned Federal Way auto repair company with experts in their field that care as much about your vehicle as you do, then you will be very pleased to experience what we have to offer its auto customers. 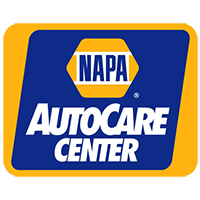 We understand that you can not entrust your vehicle to just any auto repair shop.That’s why our auto technicians are ASE Certified, as well as our auto shop earning the ASE Blue Seal of Excellence. The National Institute of Automotive Service Excellence (ASE) is a national, non-profit auto repair certification program that tests technicians for their technical knowledge and competency. Technicians must be re-certified every five years to ensure that they stay on top of the latest technologies. 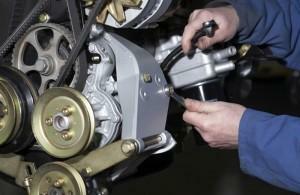 This includes not only engine repair, but other areas of auto care as well, such as emissions. 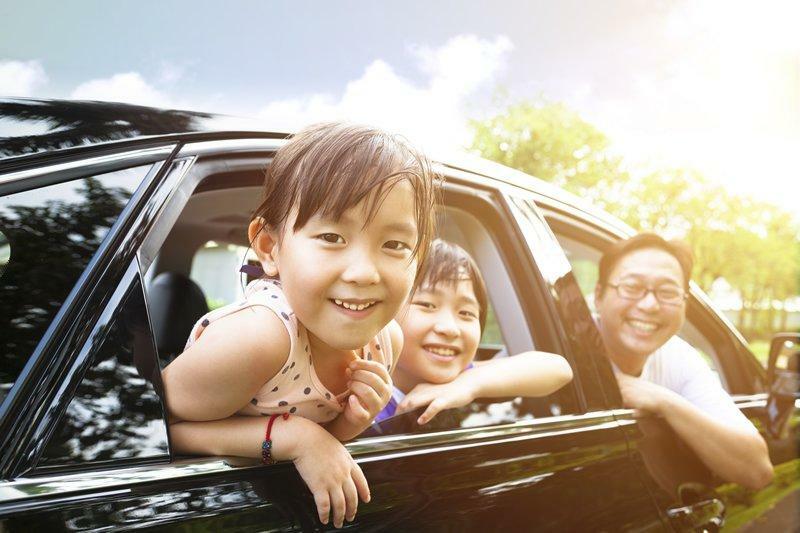 If you’re worried about your car passing DEQ, we’ll help you get ready. Our local auto shop WA State Emissions Certified, so we can find out what’s causing you to fail emissions and get it fixed. Mechanic – Make sure your repair shop works for you! Have an old clunker you think is dead? Looking for lasting repairs so you don’t have to come back? Small, medium, or large vehicles, we do them all! We aren’t your typical local auto shop. Follow our instructions and your repair is sure to last! It’s important that you can trust your mechanic. You don’t want to work with anyone that’s shady and you think might be trying to squeeze every last penny out of your account. A good place to start is customer reviews. If actual customers have good things to say about them, they’re probably doing something right. And with consistent five-star reviews on Google, we must be doing a lot right! Car service – Don’t settle for less than the best! Treating car issues with a nonchalant attitude can cause trouble! Going in for routine maintenance is a practice we encourage. It’s a good idea to go in at least every year for an oil change. Our engaging team will tackle routine or unusual problems head on. Every repair is backed with decades worth of experience! If your vehicle is behaving a little sluggishly, you might be tempted to wait it out. While this can sometimes pan out in your favor, if the problem persists for a while, it might be best to bring it in for car service. This can catch potentially catastrophes in the early stage, which can end up saving you hundreds or even thousands of dollars later down the line. Don’t wait for the problem to get worse, and come to us for an affordable car inspection from experienced professionals today. We serve many areas near Federal Way. We don't just do personal vehicles. If you have a commercial vehicle or even an entire fleet, we can prepare your them to be road ready. Our local auto repair services can offer friendly personalized service and a total commitment to your commercial and fleet needs. Worried that the problem will come back? You don't have to with us! 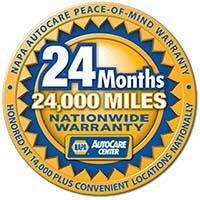 We have a 12 Month/12,000 Mile Warranty on Parts and Labor, so you can choose confidently choose us to repair your car! 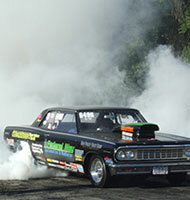 Our auto repair business was established in Federal Way in 1982. Since then, we've remained a family-owned and operated auto business, focusing on delivering quality car repair to our customers. We began originally as an auto radiator service facility only. Then after several years of taking auto management courses and learning the tricks of the auto trade, we decided to diversify and add other types of repair to our business. We deal with virtually all vehicle makes and models and can handle just about any type of repair you need!Our estimates are always free so you can be sure of what to expect. Our auto shop is open Monday through Friday and always ready to service you with top quality auto care services. Having weekends off allows our employees time to spend with their families and enjoy their free time. So they can always put their best foot forward when the week starts up again! We are very family orientated auto repair shop in Federal Way and with that, we always make sure to treat your auto as if it were our own. We make sure your auto repairs are done right the first time so you can be sure you and your loved ones are safe on the road. We value your opinion and know that you know your car better than anyone. And we'll do our best to make it right! If you want a shop that truly cares about you and your safety, give us a call. We thank you for taking an interest in our services and we are looking forward to hearing more on how we can serve you! Open 8:30am to 5pm Need to drop off after hours? Look for the Early Bird Drop Box out front. Guarantee We use quality OEM or equivalent aftermarket parts. 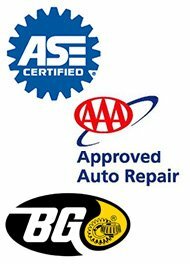 Our auto technicians are ASE Certified. All work completed is backed by a O’Reilly 12-month Warranty. 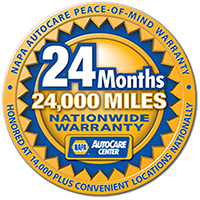 The warranty covers parts and labor for up to one year or 12,000 miles, whichever comes first. Warranty work must be performed in our shop & cannot exceed the original cost of repair.Mission Statement It is our goal to provide our customers with fast & friendly service at a reasonable price so that our customers will continue to use our auto shop and refer their friends and family. See what our customers have to say about us!